Ten European companies trading in timber have sourced US$2.26 million of wood from a company engaged in illegal logging in the Democratic Republic of the Congo. 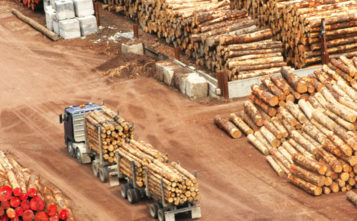 Logs transported in the Central African Republic “European companies risk falling foul of EU laws on illegal timber,” , according to a report released by Global Witness this month. The findings are especially worrying because most of the world’s second largest tropical rainforest is in the DRC, said the report. Tropical forests are estimated to sink 30 percent of the world’s carbon emissions--or they did, before illegal logging laid waste to many of them. “Illegal and unsustainable logging is one of the main threats facing the forests of the DRC, which provide vital shelter, food, fresh water and a livelihood for tens of millions of people,” said the report. The report tracks the logging of a concession owned by Industrie Forestière du Congo (IFCO), a timber trader which operates two concessions in the Congo Basin forest. It claims that IFCO bought those concessions from Cotrefor, a logging company long accused of illegal logging, alleged to be controlled by financiers of Hezbollah. Researchers for Global Witness, on the other hand, found that IFCO harvested timber illegally, that is, outside of its approved annual harvest area, between October and December 2017. It uses satellite images to demonstrate that logging--and logging roads--extended kilometers beyond the legal boundaries of the concession. IFCO also failed to pay taxes and violated local labor laws, said the report. It continued illegal logging even after the regional governor attempted to suspend its activities. While much of IFCO’s timber was placed on Vietnamese and Chinese markets, said Global Witness, which don’t have systems in place to prevent the import of illegal timber, ten European timber traders bought the timber. Among them are JAF Polska, France Noyer, Edwood, Angot Bois, Timbearth and Carbon Market Timber, TimTrade, Exott and Interarrod. Contacted by OCCRP, Interarrod hung up the phone on a reporter twice. “CITES permits are only emitted for wood from durably managed forests from industrial producers in DRC and under severe control. CITES permits would never be emitted to companies that do not respect the full forest and other legislation of a country,” wrote Tarik Hodzic, a partner at the company. He added that Exott had said two years ago that it would only buy wood from IFCO if it went forward with a certification scheme. IFCO, he said, was in the process of being audited for this certification. Agnès Aubertin, president of France Noyer, meanwhile wrote to OCCRP that there are bigger fish to fry. “We bought a very very small quantity last year (from) a French company that bought these pieces in Congo giving us all papers showing from which forest it was coming from and our employee selected the pieces so he could see they were taken in the authorized concession,” he wrote. In a separate press release, Global Witness said that exports of timber from the DRC to Vietnam and China have surged in the past year. 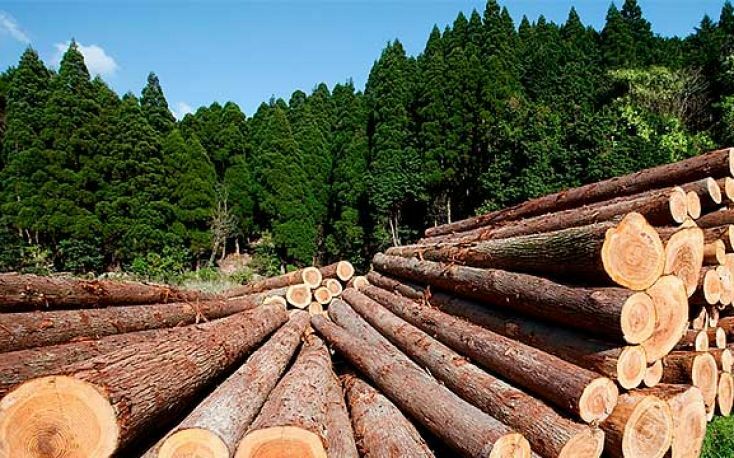 The largest owner of timber concessions in the DRC, a European company based in Liechtenstein, is illegally harvesting timber on 90 percent of its sites, it found.